This month, the Internet Innovation Alliance released an independent survey showing that consumers’ preferences for how they access the internet and how they use the internet have changed dramatically. Today, 43% of U.S. adults report a preference for mobile access or report no preference as compared to 47% expressing a fixed broadband preference, according to the poll conducted by independent research firm CivicScience. Consumers now view fixed and mobile broadband service as essentially the same, and they use mobile broadband to perform bandwidth-intensive activities like streaming video and watching news and sports, as well as for important tasks such as doing homework and applying for jobs. In conjunction, IIA also explored the gravitation of consumers toward mobile broadband in a new white paper that examined numerous sources beyond the CivicScience poll. Based on details revealed through this extensive survey and additional data sources cited in the white paper, IIA called upon the Federal Communications Commission (FCC) to update and modernize its approach to reporting to Congress on the deployment of advanced telecommunications in the United States. 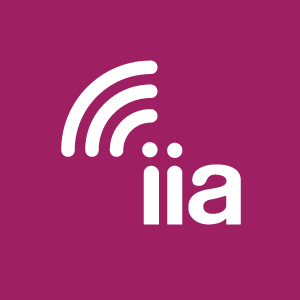 Broadcasting & Cable, “IIA Study: Consumers See Mobile, Fixed Broadband as Functional Equivalents,” July 17, 2018. Light Reading, “Get Off My Wireline Lawn!” July 17, 2018. Telecompetitor, “Study Explores Mobile vs. Fixed Internet Preferences, But Results Need a Closer Look,” July 17, 2018. Broadband World News, “Just Connect, Already,” July 17, 2018. Cablefax, “Survey Says Consumers Find Fixed and Mobile Broadband the Same,” July 17, 2018. TR Daily, “IIA: Mobile, Fixed Broadband Are ‘Functional Substitutes’,” July 18, 2018. Communications Daily, “IIA Urges FCC to Decide Mobile Is ‘Functional’ Substitute for Fixed in Section 706 Report,” July 18, 2018. You can read the full results of the survey on the IIA site. IIA Honorary Chairman Rick Boucher had an op-ed published by Morning Consult on July 31, highlighting IIA’s recent independent survey showing that consumers now see mobile and fixed internet access as functional substitutes. Boucher says that using data from the survey, the FCC can provide to Congress the most accurate information on the state of the broadband market, not only on how many consumers have access but also on how consumers access and use it. In its 2016 report, the FCC started including mobile broadband among “advanced telecommunications services” but concluded that mobile and fixed broadband were not “functional substitutes.” It reaffirmed that decision in 2018, even though studies on which it relied were from 2014. The trends revealed by the survey will likely accelerate in the years ahead. Considering this new data, Congress and the FCC can help ensure that regulation tracks marketplace reality. In an op-ed published by the Clarion-Ledger, Mississippi’s largest daily newspaper, IIA Honorary Chairman Rick Boucher addressed the potential of broadband to help rural areas in Mississippi and across America, as well as the policies that will support bringing faster broadband to these areas. Boucher says that the key is stimulating private investment, which depends on regulatory certainty. Congress now has the opportunity to act on a forward-looking net neutrality policy that assures open networks, determines that broadband is an information service to be overseen lightly by the FCC, and solidifies a set of privacy rules that give consumers control over their personal information across the span of the internet ecosystem. You can read the full piece on the IIA site.